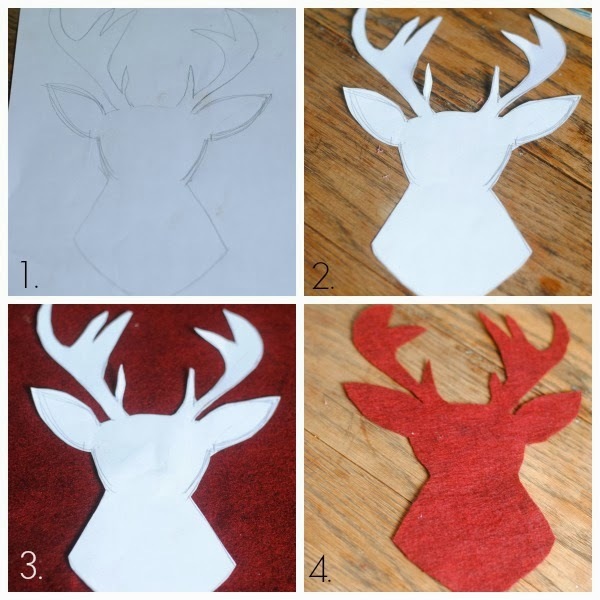 To start off this project you need a reindeer template. I decided to just free hand draw a simple silhouette to use. But, if the thought of free hand drawing freaks you out then calm down, take a deep breath, I have some great news - you can find many places online that offer free printables you can use like here or here! Bloggers are awesome like that. Thank you awesome bloggers! 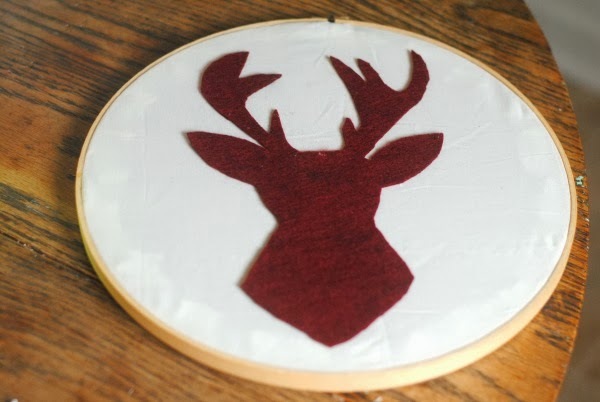 After you have your deer template ready you just need to trace it on your felt, I used a sharpie because it was just easier that way and then finally cut it out. Simple! 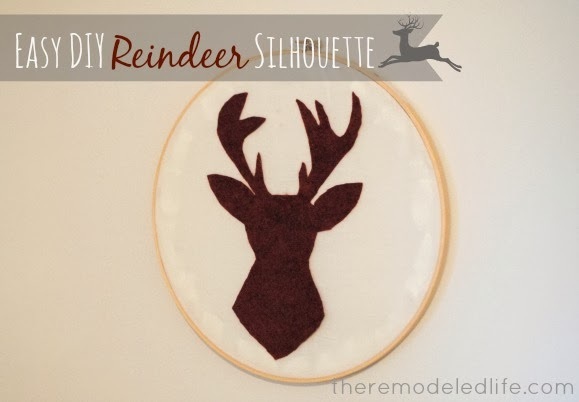 Now its time to get the embroidery hoop ready for your awesomely easy ready to go reindeer. You don't have to sew things to have available fabric to use for this. I couldn't find anything I liked in my stash so I opted to use an old sheet I really didn't use anymore. I've used sheets, tablecloths, shower curtains, t shirts...you get the point. 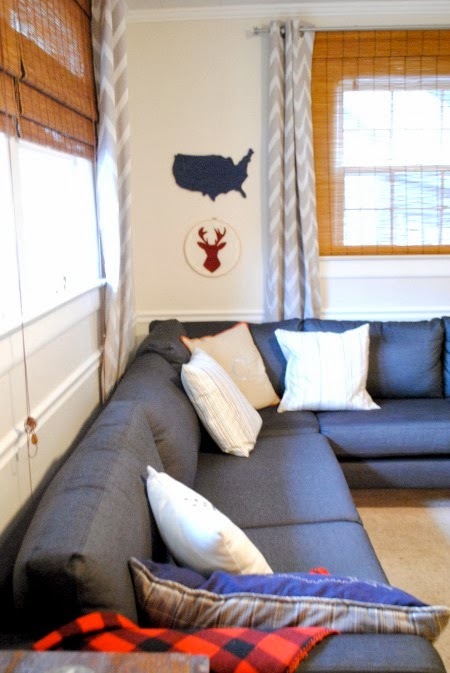 Fabric is everywhere in your house and if its not being used on a regular basis then its fair game for me to cut up. So, I cut out a piece the right size, pulled it tight around the hoop frame and trimmed off some of the excess. 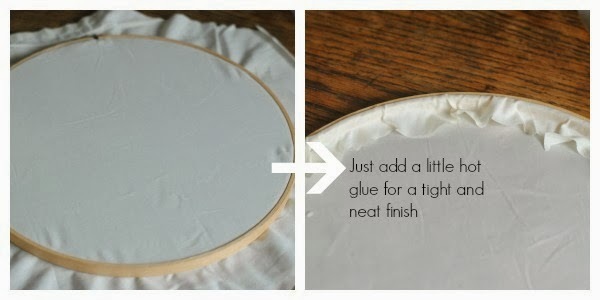 Then just for a nice clean and neat finish, add a little hot glue to the hoop backside and fold over the fabric ends to finish the back. 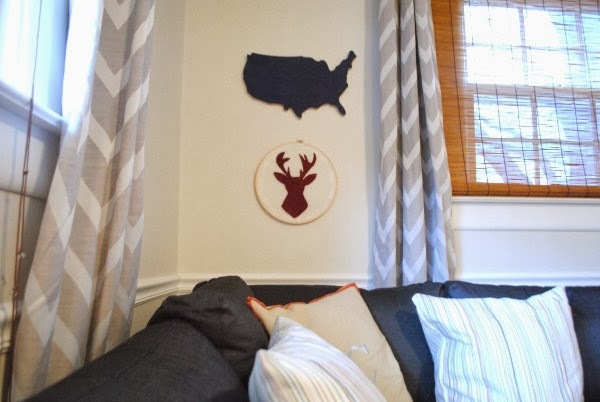 Now all that is left is hot glueing your sweet little deer right onto your fabric hoop. Done. You can make this! I know it! And then you can admire your reindeer from near or from afar. I used one of those removable hanging strips to secure him to the wall since I'm feeling he is more of a festive Christmas deer that will be up only during this the holidays...although I'm kind of growing an attachment to him so I'm either going to have to make a new replacement or just keep him. We shall see. Thanks for stopping by and have a wonderful day...whether its rain, snow, ice or shine!